As we love to spend time outdoors it makes a vast difference to that time spent if you have a beautiful garden that is not only esthetically pleasing but functional. A beautiful space to relax, read, rest, entertain or play in, will bring you peace and joy while adding value to your home. A Landscape Designer can help your vision come to life or create a whole new idea you had never considered. No matter what type of garden you like whether it be a formal, cottage, tropical or native garden, a Landscape Designer will be able to design a garden for you that not only suits your style of house and your budget but the aspect, climate, soil, shape and size of your space. You may want to incorporate a pool or tennis court, play area for the children, outdoor kitchen, pond, waterfall or water feature, privacy screening, fire pit, terracing, decking, paving, retaining walls, fencing, a verticle garden, irrigation system or lighting. A Landscape Designer will meet with you at your home and thoroughly inspect your outdoor areas and take a brief from you as to what your wants, needs and budget are. Think about your life style and that of your family and this will influence your decisions. For example if your children are young you want a safe but fun environment for them to play in that will encourage them into the outdoors. If you have pets you may need to consider an area for them to play and exercise. If you have teenagers you might like the idea of an outdoor area for them to gather with their friends or for you to gather with your friends. You could create different zones or levels for different purposes. You may want to either hide the garden shed or transform it back to life with a new use. You may want to include a pool and outdoor shower. You may like a cottage garden with meandering pathways or a fish pond. You may like to attract native birds. Whatever you might want to incorporate, make a list so that you can give your Landscape Designer as much information as possible to get the best results. A Landscape Designer is a design professional who will think outside the square to come up with a unique garden for you. You will be advised on the most ideal plants to create the desired effect. As with the design of homes each Landscape Designer will create an original idea. 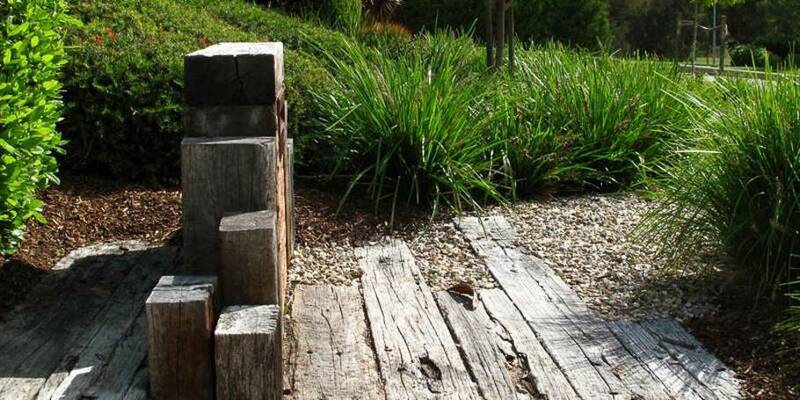 Dinah Meagher of Canberra Gardens philosophy is to encourage edible, low maintenance, water saving gardens and where possible recycling existing materials in an innovative way, creating a stylish but budget friendly design. Most Landscape Designers will charge an initial consultation fee. The fee for the design and drawing up of plans will be determined by the scope of works involved. An additional fee will be charged to project manage the job.